Timely Reminders with audible beeps! "After exposing [Blip] to my father, I found the brilliance of this portable blood pressure monitor- SIMPLICITY"
"... if you’re looking for a blood pressure monitor for your parents that they will actually use "
Do You Know Someone Who Needs To Monitor Their Blood Pressure? Do you know your Blood pressure is higher on weekends? Which day of the week is your Blood Pressure lowest? Does your blood pressure drop at night? Non-dippers have a significantly higher frequency of stroke. Also, too great a drop in nocturnal BP may lead to marked cerebral ischaemia. 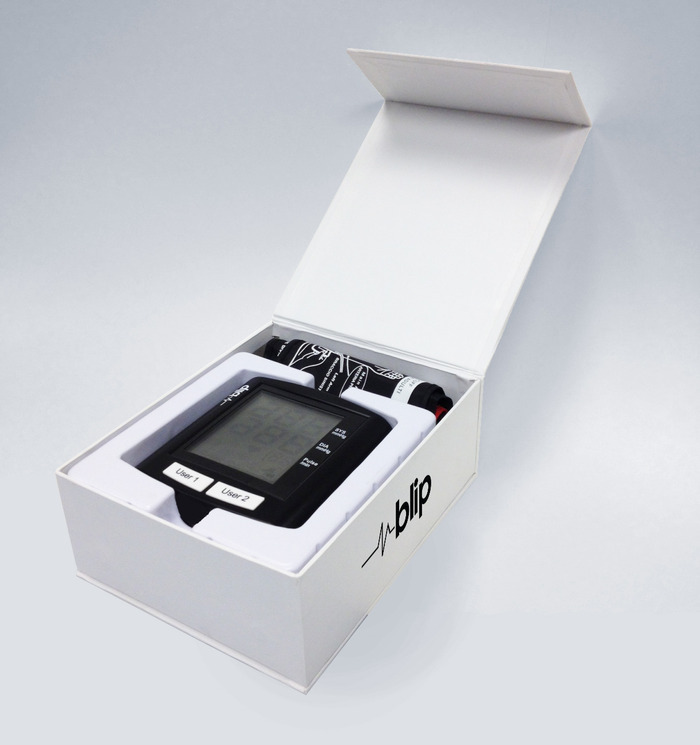 There are several unique features that set the Blip Wireless Blood Pressure Monitor apart. 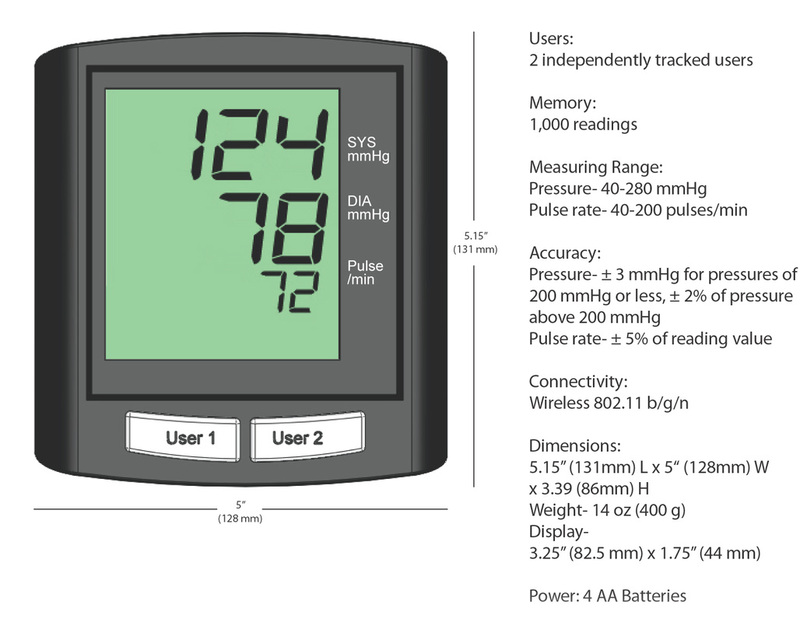 Wireless- This is the world's 1st Wi-Fi Blood Pressure monitor. Unlike Bluetooth, users don't need a smart phone to upload their readings. They can just use their home Wi-Fi network. Timely Reminders- Blip BP monitor can remind users with audible beeps to take readings i- like a smart alarm clock. Multi-user- Blip BP support 2 user buttons! Each user can track their data on the web. Some even use it for left and right arm! Simple- No cables to plug in, just take a reading and it's sent automatically! It even stores readings and re-sends when network is available. 1. Register for a Free account. 2. Connect to a Wi-Fi network. 3. Start tracking your Blood Pressure! 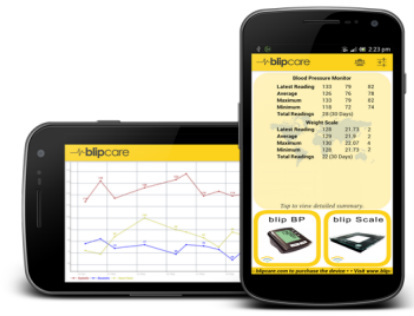 Blip Wi-Fi Bp has 510(k) OTC clearance from FDA and is CE marked. It is also the first Wi-Fi based Blood Pressure Monitor to be cleared by the FDA. All relevant validation, safety testing etc has been completed as per FCC, IEC, EN, ANSI, AAMI requirements. 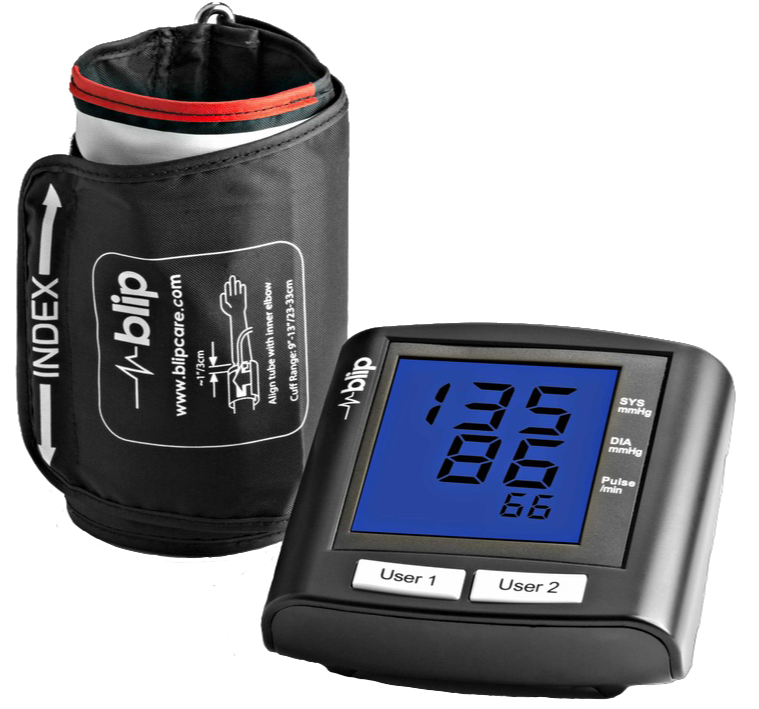 Please follow the link below to get your BP monitor. The BP itself is only one part of the equation. Once a user and BP monitor are registered, the data can be tracked from any computer, tablet or smartphone! You can forward data to your doctor, coaching program or personal health record (PHR). All this and more with a simple user interface anyone can use! Please join our mailing list to stay updated.